–BORN IN: Reading, Berkshire, UK. –YOU ARE WORKING AS: Creative Director for Dirk Bikkembergs. –DESCRIBE YOURSELF IN 1 OR 2 SENTENCES: Hard working, hard living, creative, restless virgo. After studying Art & Design at Berkshire College, Lee Wood, aged 19, moved to London to begin his professional career in the fashion industry, firstly in the retail before becoming a fashion stylist. In 1998 he is in Milan to join the creative team of Versace, an experience lasting until 2014! In the 16 years alongside Donatella, Lee gained expertise in all the aspects of product development: women’s and men’s ready-to-wear, accessories, jewelry, fragrances, eyewear and homeware collections. No wonder that in 2015 Lee launched his own label L72, a reflection of his professional experiences and the work he truly cherishes, an unconditioned gesture and the freedom to explore new forms of personal expression. In just few months the brand gained attention from the fashion system, earning him a place in the finals of “Who is on Next” 2015 talent scouting project launched from Vogue Italia and winning during AltaRoma. 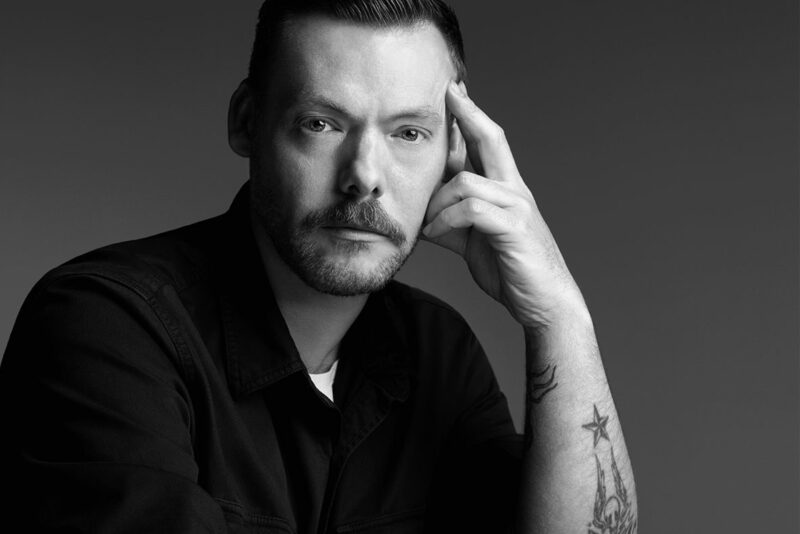 Since June 2016 Lee Wood is Creative Director of Dirk Bikkembergs. 1. Which is the most fascinating, even simple item, you ever bought for children? Simple wooden building blocks. It’s a no rules situation that allows for creativity and learning. Tough question, I really don’t have much time to shop these days. Online shopping doesn’t quite transmit the right energy… that’s something for the marketing departments to think about, but I do remember going to FAO Schwarz in New York when I was younger and it blew my mind! I’d never seen so much stuff before under one roof. 3. As a child… do you remember one special item you had been wearing almost day & night? My white underpants! Couldn’t, wouldn’t live without them. 5. Which museum even kids would spend hours in? The Natural History Museum in London, I love it! It’s packed with the most fascinating artefacts and specimens. I find it very inspiring and educational. The main hall with the dinosaur skeleton is just incredible. 6. Did you expect to become a designer when you were a child? No, not at all… I think it was obvious that I would work with my hands in some way. I was always playing, drawing, building, cooking. I loved to get my hands dirty! I’m sure my parents would have preferred me to be an architect or an interior designer, but I guess it turned out ok.
7. You are based in Milan… What’s the best place for kids & teenagers there? I would say the parks, to be outside and be free. Milan has some great outdoor spaces. Also the Pirelli HangarBicocca art foundation, Zero Gravity and also for teenagers the Planetarium could be quite inspiring. It’s actually very interesting the emotion and joy I feel when a child smiles at me. You know those random moments just walking down the street, or on a bus, it’s quite powerful. Growing up, I was always surrounded by adults, I often felt uncomfortable with other children, I didn’t know how to interact with them. Now that I’m no longer a child I see and feel something very different. I see hope, possibility. A long, lazy Sunday lunch. 10. Share with us your favourite website and Instagram accounts. I use Instagram for almost everything now, the only websites I really consult are: Google, BBC & Vogue Runway. My favorite Instagram accounts are: @diet_prada, @behindtheblinds, @celestebarber, @scandiminis and also my friends @arash777 & @sara.azani who have twins. … Accept, respect and be curious.